The Customs Area Controller, Compt. Umar Yusuf made this known in an interview. He said the training programme was to ensure that officers and men of the Command understood what was expected of them and appropriately make the declarations. "In line with the change mantra of this administration, this exercise will encourage transparency and make our officers and men to adhere to the motto of the Service which is Justice and Honesty. "This is a new government and we have a new Comptroller-General, so change must work. This is why I invited the Director of the Code of Conduct Bureau to educate us on how to go about the process," Yusuf said. 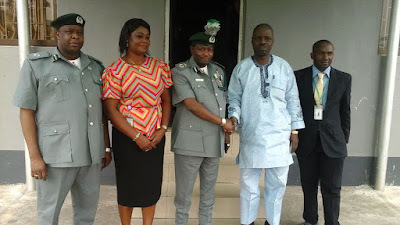 Mr Ezekiel Ola, the Lagos State Director of the Code of Conduct Bureau and his team demonstrated to the Command how to accurately declare their assets. It would be recalled that the Comptroller-General of Customs, Col. Ahmed Ali (rtd.) had given officers of the NCS two weeks to declare their assets.